I missed out on collecting this one, and unfortunately can’t find it anymore. their hearts. 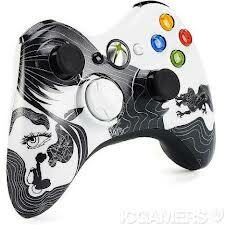 So what better way to represent that love then countless controllers. 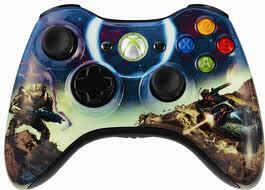 So far I only have the Halo Reach and Halo 4 below. 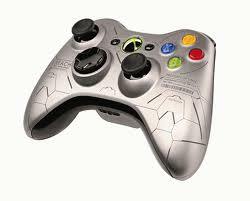 This puppy came out a long time ago, back when the Xbox 360 was still new and shinny technology. 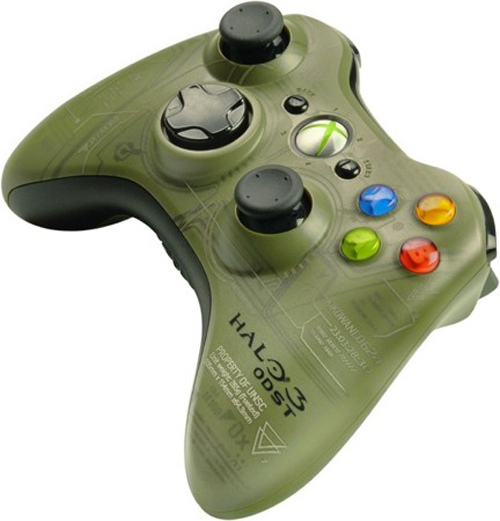 This was one of the first adventures into the Limited Edition controller market. Looks pretty sweet! 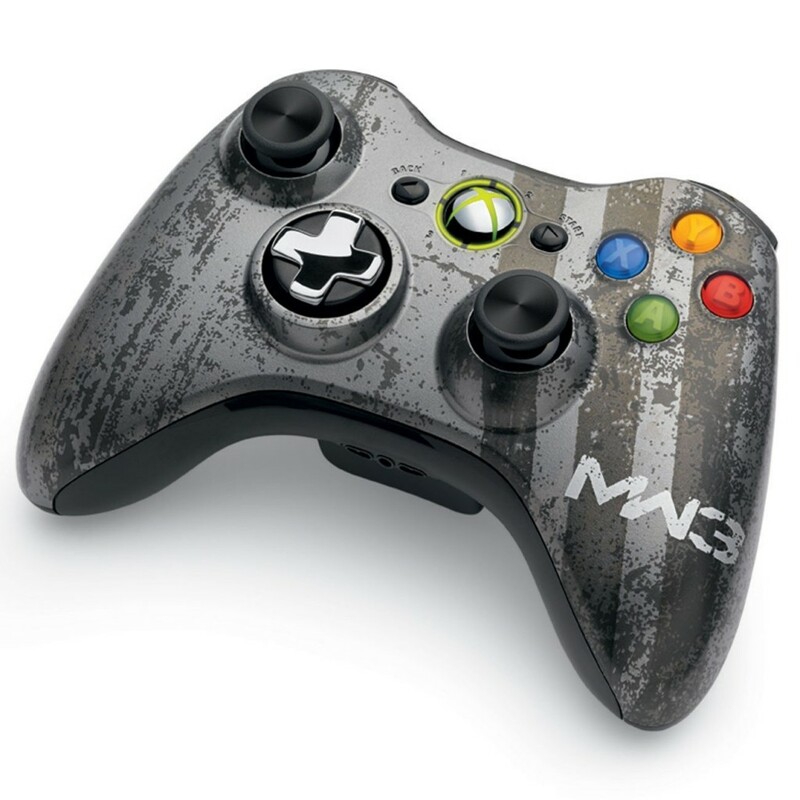 When Gears of War 3 was on its way to a release, Microsoft knew they had to do something special for the game. So what did they do? They went out and designed a Limited Edition Console and controller. Here’s just the latter of those two. This one is in my personal collection as well. I’ll never forget you Dom! Brothers to The End! Not too long ago, Microsoft came out with the Chrome Series. These shiny little things were decked out in reflective chrome, and came in red, blue, or silver. Looking at this picture, I wish I had gotten the blue one. Fail. Look! 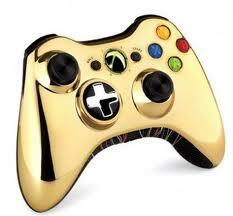 They scrapped C3PO and turned him into a controller! with a white, “Storm Trooper” Kinect, a console modeled after R2-D2, and a controller that looked like a recycled C3PO. I’m not a die hard Star Wars fan, but I’m still a little bummed I didn’t pick this one up. 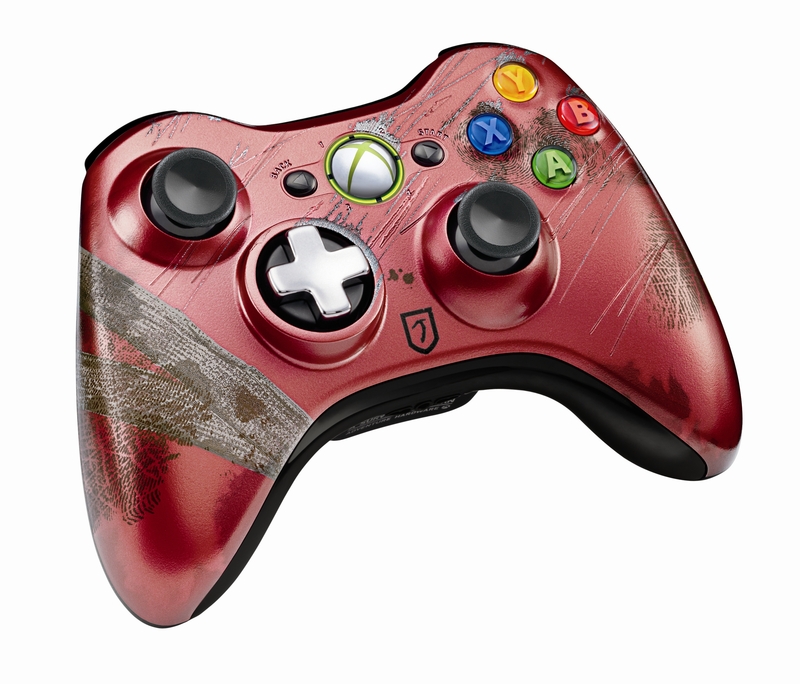 In 2009, Microsoft and Gamestop came together to make an exclusive controller to sell in Gamestop stores. 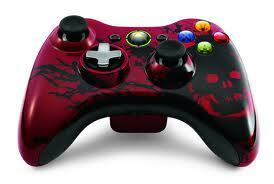 For $69.99, you could get this cool/kinda ugly controller, which came with a rechargeable battery kit. The Carbon fiber is sweet….sort of. 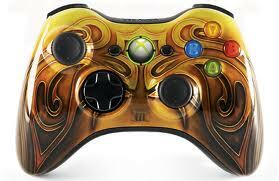 The Fable controller is actually pretty nice! I tried this game, and never really fell in love with it. But there were a few times, while perusing Best Buy, that I thought about getting this. Too bad I never did. Wood grain controller? Well aren’t you classy. 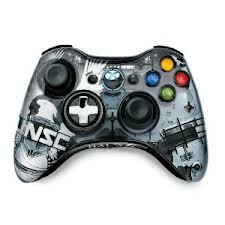 Where was I when this controller came out? How did I miss it? When I saw this beautiful photo, lying around the Interwebs, I immediately clicked on it to see if it was real. Alas, it is. I guess this was a pretty limited run, and only a few hundred were made. Missed out big time. 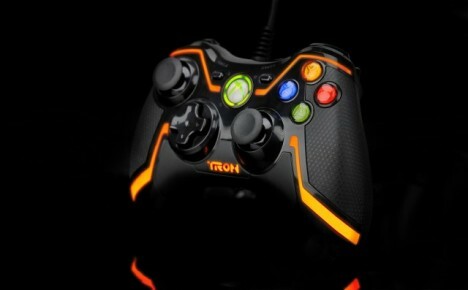 Tron is one of my favorite movies, and I would’ve loved to have a light up Xbox controller to show off. Excuse me while I go frantically search eBay. So there is the latest line up of Xbox Limited Edition controllers. Just recently though, I found a future edition to my collection. This was just announced the other day, and something I plan on getting. It’s the Tomb Raider controller, which is to be released alongside the game reboot. Looks snazzy huh? I’m diggin the whole bandaged and scratched look. 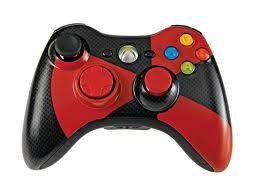 Although the red reminds me of the Gears of War model. Would be better if it was a different color, but when can’t have everything. So there’s the controllers, now on to an extra little tidbit. I’ll be brief with this, cause the post is already fairly long. I saw this trailer on Vimeo the other day, and it was a little mind blowing. I had heard bits about this game, but now we finally have the official teaser trailer debut. The CGI is beautiful, and I am definitely intrigued to see what kind of game this turns out to be. Check out the video below. 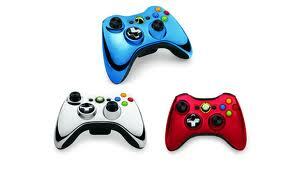 I really love those chrome controllers. Especially the silver and blue ones!! Yes they are pretty awesome. I saw them in the store, but never bought one. The blue looks nice in real life.